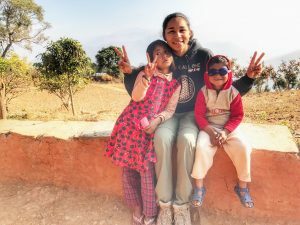 Note: Mariah came to Volunteer Nepal as part of a group of 19 students from Evergreen State College. What a pleasure to host these knowledgeable, inquisitive, and appreciative learners! About an hour and a half up hill from Manthali rests a village called Dumrikhaka which is located within Ramechhap. While staying in this village I am teaching English at a school, which includes nursery level, all the way up to 5th grade students. The school day begins at 10 A.M. and ends at 4 P.M. most commonly seven periods, unless it is Friday when the day ends after lunch at 2:00 P.M., or if there is a marriage in the village. While I was in the village there were actually two marriages that caused shorter days at the school! 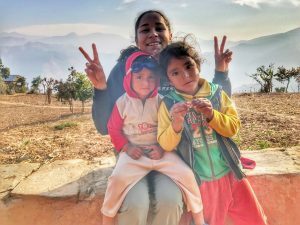 Every morning I would walk to school with the three kids that live at my homestay along with their mother and then walk with them home after school as well. At school I only had one of three kids in my classes. I taught 3rd grade, 4th grade, and 5th grade. For many of my class sessions I used drawing pictures and singing songs as ways to remember the lessons, and the kids tend to love that because they are used to a lot of repetition of spoken words or writing. I started with teaching the kids some basic questions and answers in English so that we could communicate more efficiently. I soon realized many of the kids somewhat knew hokey-pokey and Head, Shoulders, Knees and Toes so we did a few lessons on health and body parts and would accompany or end the lesson with one of those two songs or both. Besides body parts, we also studied vegetables, fruits, animals and sustainable practices alongside geology. 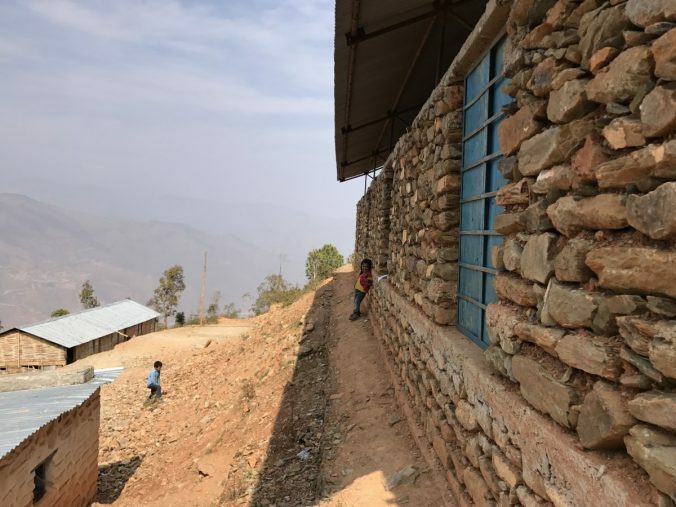 There were four other teachers alongside the principal and the subjects they teach are science, English, Nepali, social studies and the principal taught mathematics. Two of the three kids from my homestay and myself. My main goal for the kids was to leave them with information and ideas to be more conservative with resources, and to practice more sustainable options for the choices they already make every day. As the two weeks came to an end I noticed the improvement of the fluidity of the conversations I would have with the kids and how the visual lessons worked well for them to help them remember the concepts. Songs made it easy for them to repeat the lessons' information again for later use.